Superb facilities combined with small classes and a dedicated teaching staff provide the best in education and pastoral care. Consistently high 'A' level/GCSE results & excellent university entry record. Non selective but consistently achieving excellent academic results. A varied array of musical and sporting opportunities on offer, and set in a lovely rural landscape. Creating opportunities Realising potential Living life to the full! Fees: £2,453 - £3,515 per term. 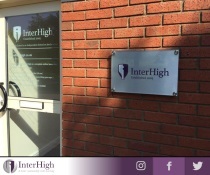 InterHigh was established in 2005 and currently has around 750 pupils worldwide. Lessons are delivered by professionally qualified teachers and the pupils log into virtual classrooms via their own school dashboard. Our school offers a uniquely flexible approach to learning, empowering students to take control and supporting their academic progress and success. In 2014, our students' IGCSE success placed us in the top 15% of schools nationally; around half of our A-Level students go on to study at the university of their choice and a number have attended Oxford and Cambridge. Located on a beautiful 400 acre site in the Hertfordshire countryside, between London and Cambridge,St Edmund's College is an Independent, fully co-educational, day and boarding school for pupils aged 3 to 18. As England's oldest Catholic School, founded in 1568, St Edmund's welcomes not only Catholics, but students from all faiths and denominations, who appreciate the values of a Catholic education. Our recent ISI inspection judged us to be Excellent in all areas, the highest possible accolade from the largest inspection body for independent schools. The inspectors noted that the pupils achievement is excellent. It is underpinned by high quality teaching and a vibrant curriculum. In addition pupils thrive in the school's atmosphere of hard work, enjoyment and effort. We are immensely proud of our reputation. Situated in the world famous University City of Cambridge, The Leys occupies 50 acres and is the only Co-educational Boarding and Day School in Cambridge. As well as Academic Excellence, Sport, Music, Art and Drama are actively encouraged. Entry is normally at ages 11, 13 or 16; please visit our website for our next Open Day.